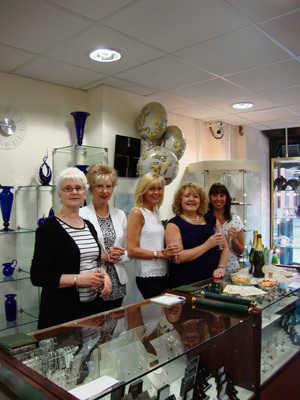 The team at a Keynsham jewellers have said a big thank you to all the customers who have supported the shop over the years as they celebrate 50 years in business. Smith of Keynsham was opened in May 1963 by the eponymous Mr Smith in Temple Street. Jill Matthew joined the team in 1991, working two days a week, and became the new owner when Mr Smith retired 10 years ago. After the shop’s move in August 2011 to 5 High Street business has gone from strength to strength, says Jill. Pictured are Jackie, Sue, Debbie, Jill and Louise.